A Carter Excavating tractor-trailer dump truck driven by Robert Walton was traveling northbound on the Dan Ryan Expressway (Chicago) when the bed began to rise. 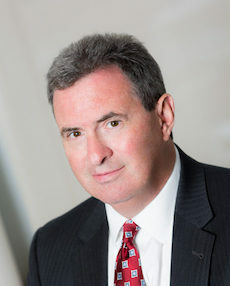 Estates of Lindner et al v. Millis Transfer, Inc.
On September 26, 2018, Chief Circuit Judge Daniel P. Guerin announced that David E. Schwartz, J.D., a partner at Kralovec, Jambois & Schwartz, has been appointed to the position of Associate Judge of the Eighteenth Judicial Circuit Court, DuPage County, Illinois. Schwartz fills the vacancy created by the resignation of John W. Demling. Kralovec, Jambois and Schwartz represents victims of personal injury and medical malpractice in Cook County and throughout Illinois. © 2017 by Kralovec, Jambois & Schwartz. All rights reserved.